Join father and daughter duo Michael and Sadie Roach for a rich programme of jazz and blues. Michael Roach, of Washington D.C., USA, performs in an East Coast Style of blues dating back to the 1920s. After spending several years learning directly from such well-known figures as John Jackson, John Cephas and Jerry Ricks, Michael has developed his own style and is now an exceptional, seasoned performer. For over 35 years, Michael has conducted numerous workshops throughout the USA and Europe and is the Director for the annual Blues Week 2000 – 2019 programme held at many presitigious establishments since its inception. Michael also presented ‘Deep Blue’, a three part series on blues music featured on BBC Radio 4 in March 2003. It is Michael’s communication skills together with his musicianship that has enabled him to bring about a greater understanding of blues music and the Black experience. He has recorded 7 albums dating from 1993 and is well established in traditional blues music circles around the world. Sadie Roach is in her 3rd year as a student attending the prestigious Guildhall School of Music and Drama in London studying jazz piano. 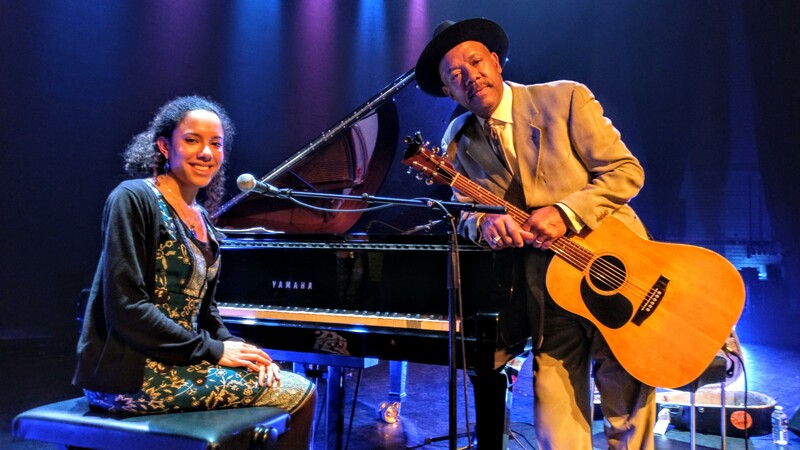 As the daughter of Michael Roach, she grew up on the blues and is familiar with the piano styles of all the great players. Sadie is featured as a pianist and vocalist on Michael’s 2019 album called ‘Tryin Times’ with original songs and covers by Ledbelly and Sister Rosetta Tharpe. You can find more info on Michael’s website and you can check out Sadie’s music here. *Ticketed event. You can purchase tickets for this event here.